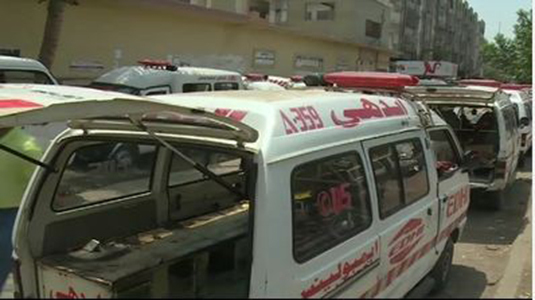 KARACHI (92 News) – The Karachi heat wave death toll has risen to 1,320. Collective funeral of 50 forsaken people was offered in Edhi Centre. Several bodies are still lying in morgues. Federal Ministers Abdul Qadir Baloch and Saira Afzal Tarar visited Karachi to review the situation.